Choosing Cremation can help make a difficult time a little easier. You and your family will have more flexibility in planning when cremation is selected. Our licensed director will guide you through the process with compassion and respect as he explains all your options to you. We encourage you to compare costs, services, and personalities between funeral homes and cremation services. Whether you are thinking of prearranging or have experienced a recent death, you should choose a firm based on your budget, as well as your comfort. Please call, email, or stop by for our no-obligation Cremation Information Packet which includes all information, worksheets, and price lists to assist you in completing this difficult process. Some families choose public visitation and/or service prior to cremation; while some choose to celebrate a life after the cremation takes place with the urn, photos, personal memorabilia present rather than a casket. Naturally, this is a personal family decision. Service of our licensed staff to acquire cremation authorizations and biographical information from the legal next-of-kin. Assistance with obituary composition and submission. Staff time for obtaining physician's signature on the legal death certificate, completion of death certificate, meeting with the CT Medical Examiner for legal permits, and filing of paperwork at town/city clerk’s office as well as obtaining certified copies of death certificate if requested. Transfer of the remains to the crematory after the State Mandated 48-hour holding period. Minimum cardboard container as required by crematory for handling purposes. Crematory fee, Medical Examiner Fee, and necessary legal permits. Does not include charges for newspapers, certified death certificates and any church, clergy, cemetery or floral fees. CT Certified death certificates are $20 each. 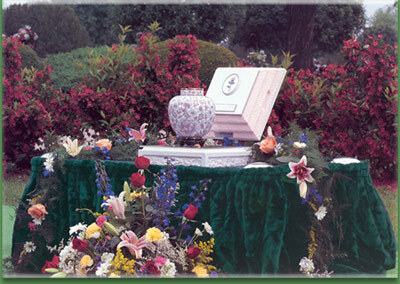 Return of cremains in a timely manner to the funeral home for the family to retrieve at their convenience. Notification to Social Security of the death. Assistance with Veteran’s Administration for military honors, flag, military marker, burial in Veteran’s Cemetery.